The 14th round of the 2018-19 Turkish Airlines EuroLeague regular season continued on Dec. 21. Russia's Khimki Moscow defeated Turkey's Darüşşafaka 85-84 in Istanbul. 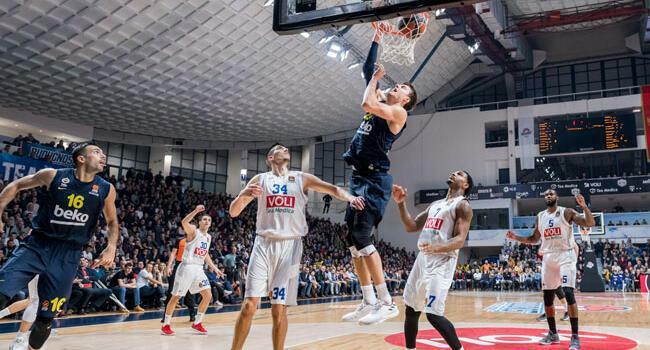 On Dec. 20, Turkey's Fenerbahçe beat Montenegro's Buducnost VOLI Podgorica 89-65 in an away match. Fenerbahçe, last year's EuroLeague finalist, currently top the basketball league with 13 wins and 1 loss. Also at home, Russia's CSKA Moscow defeated Turkey's Anadolu Efes 102-84.